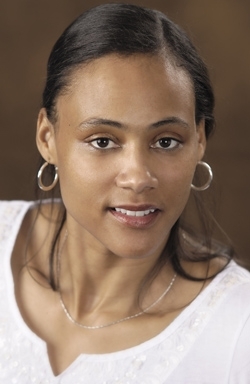 Marion Lois Jones also known as Marion Jones-Thompson, former world champion track and field athlete, and a former professional basketball player for Tulsa Shock in the WNBA. She won five medals at the 2000 Summer Olympics in Sydney, Australia, but forfeited all medals and prizes dating back to September 2000 after her October 2007 admission that she took performance-enhancing drugs as far back as the 2000 Summer Olympics, and that she had lied about it to a grand jury investigating performance-enhancer creations by Victor Conte and the Bay Area Laboratory Co-operative (a.k.a. BALCO). 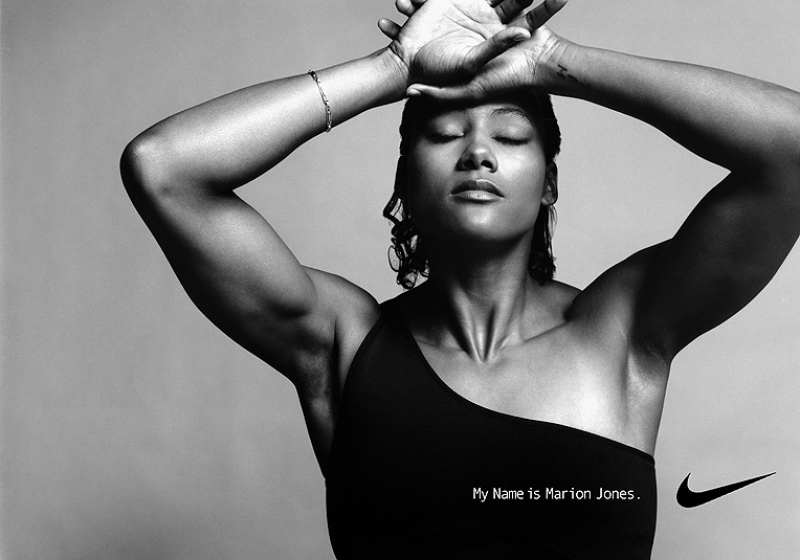 At the time of her admission and subsequent guilty plea, Marion Jones was one of the most famous people to be linked to the BALCO Scandal. The case against BALCO covered more than 20 top level athletes including Jones' ex-husband shot putter C.J. Hunter and the father of Jones' first child, 100m sprinter Tim Montgomery. Jones was born to African-American George Jones and his Belizean wife, Marion, in Los Angeles, California. She holds dual citizenship with the United States and Belize. On February 24, 2007, Marion Jones married Barbadian sprinter and 2000 Olympic medalist (bronze, 100 m sprint) Obadele Thompson. Their first child together was born in July 2007. She gave birth to daughter Eva-Marie on June 28, 2009. In high school, Jones won the CIF California State Meet in the 100 m sprint four years in a row, representing Rio Mesa the first two years and Thousand Oaks high schools the last two. She was successfully defended by attorney Johnnie Cochran on charges of doping during her high school track career. She was invited to participate in the 1992 Olympic trials, and, after her showing in the 200 meters finals, would have made the team as an alternate in the 4×100 meters relay, but she declined the invitation. After winning further statewide sprint titles, she accepted a full scholarship to the University of North Carolina in basketball, where she helped the team win the NCAA championship in her freshman year. Jones "red shirted" her 1996 basketball season to concentrate on track. After Jones lost her spot on the 1996 Olympic team because of an injury. She excelled at her first major international competition, winning the 100 m sprint at the 1997 World Championships in Athens, while finishing 10th in the long jump. 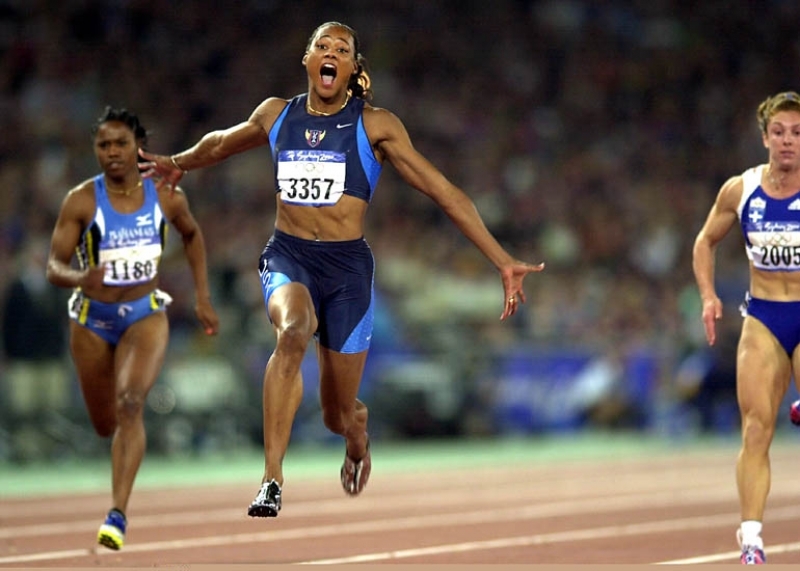 At the 1999 World Championships, Jones attempted to win four titles, but injured herself in the 200 m after a gold in the 100 m and a long jump bronze. At the Sydney Olympics Jones finished with three gold medals (100 metre sprint, 200 metre sprint and 4x400 relay) and two bronze medals (long jump and 4x100 relay), however she was later stripped of these medals after admitting that she had used performance-enhancing drugs. Her ex-husband Hunter, an Olympic shot-putter and confessed steroid user, testified under oath that he had seen her inject drugs into her stomach in the Olympic Village in Sydney, which implicated baseball player Barry Bonds, sprinters Tim Montgomery, Chryste Gaines, Kelli White, and others, many of whom admitted to using illegal drugs while competing. Jones vehemently denied using performance-enhancing drugs until her confession in 2007. A dominant force in women's sprinting, Jones was upset in the 100 m sprint at the 2001 World Championships, as Ukrainian Zhanna Pintusevich-Block beat her for her first loss in the event in six years; Pintusevich-Block was one of the names revealed by Victor Conte during the BALCO scandals. Jones, however, did claim the gold in both the 200 m and 4x100 m relay. On her 2004 Olympics experience, Jones said "It's extremely disappointing, words can't put it into perspective." She came in fifth in the Long Jump and competed in the women's 4x100 m relay where they swept past the competition in the preliminaries only to miss a baton pass in the final race. Jones promised that her latest defeat would not be the end of her Olympic efforts, and reasserted in May 2005 that winning a gold medal at the 2008 Olympics remained her "ultimate goal." May 2006 saw Jones run 11.06 at altitude but into a headwind in her season debut and beat Veronica Campbell and Lauryn Williams in subsequent 100m events. By July 8, 2006, Jones appeared to be in top form; she won the 100 m sprint at Gaz de France with a time of 10.93 seconds. It was her fastest time in almost four years. Three days later, Jones once more improved on her seasonal best time at the Rome IIAF Golden League (10.91 seconds), but lost to Jamaica's Sherone Simpson, who clocked 10.87.
n November 2009, it was reported that Jones was working out for the San Antonio Silver Stars of the WNBA. She had previously played basketball while in college at the University of North Carolina, playing on the team that won a national championship in 1994. Her number 20 jersey had been honored by the school and hangs in Carmichael Auditorium. 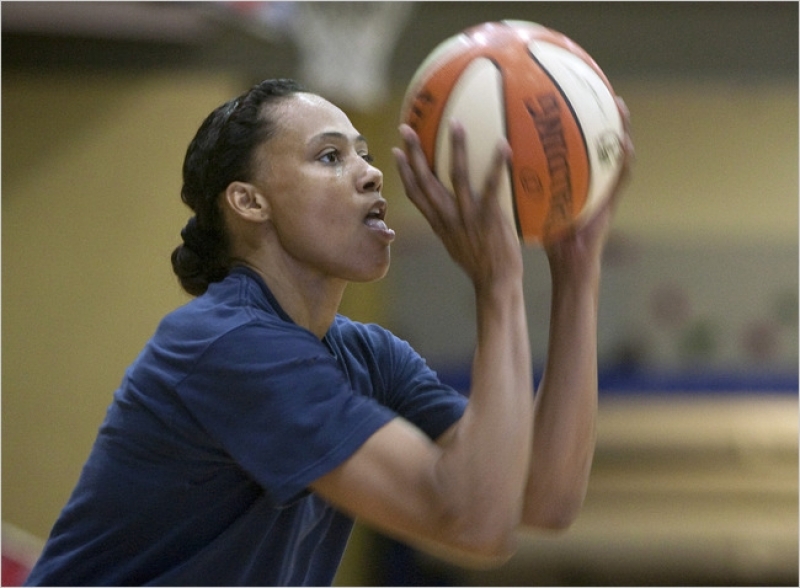 She had previously been selected in the 3rd round of the 2003 WNBA Draft by the Phoenix Mercury. 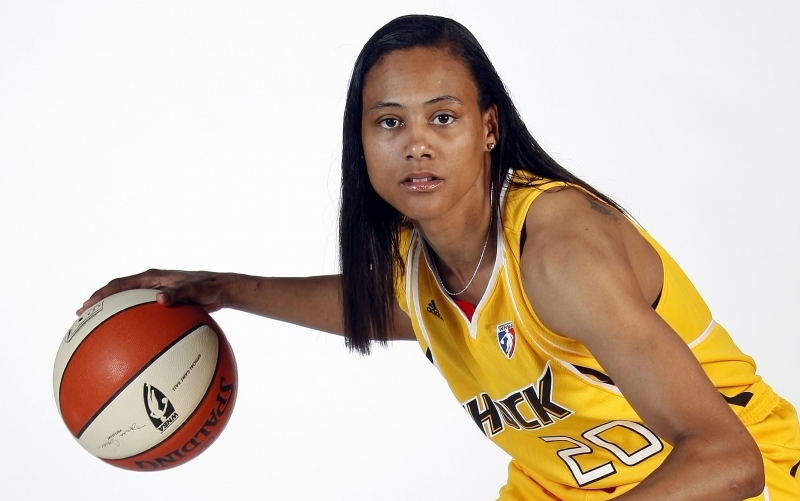 On March 10, 2010, the Tulsa Shock announced that Jones had signed to play with the team, making the professional minimum (about $35,000) in her first season. Jones made her debut on May 15 when the Tulsa Shock played their inaugural game at the BOK Center against the Minnesota Lynx. Jones was waived by the Shock on July 21, 2011. 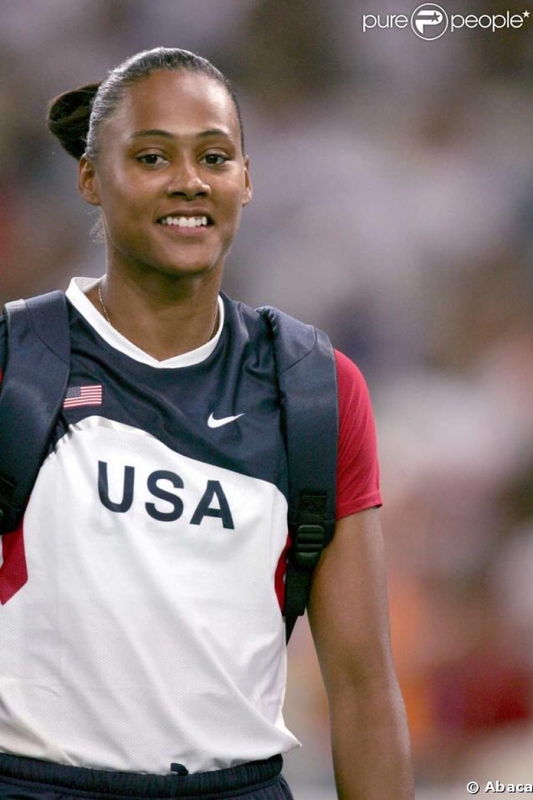 On January 11, 2008, Marion Jones was sentenced to six months in jail resulting from her involvement in the check fraud case and her use of performance-enhancing drugs. She was ordered to surrender on March 11 to begin her jail term. Jones reported to the Federal Medical Center, Carswell prison facility in Fort Worth on March 7 and was assigned Federal Bureau of Prisons register no. 84868-054. She was released from prison on September 5. In legal filings prior to sentencing, lawyers for the defense requested US District Judge Kenneth Karas limit her penalty to probation and community service. Part of their argument was that Ms. Jones had been punished enough by apologizing publicly, retiring from track and field, and relinquishing her five Olympic medals. Lawyers for the prosecution had suggested any sentence between probation and six months would be fair (with the maximum penalty being five years in prison). Judge Karas sought advice as to whether he could go beyond the six-month sentence suggested by the prosecution. During the sentencing hearing, Judge Karas admonished Jones in the courtroom, stating that she knew what she was doing and would be punished accordingly. "The offences here are serious. They each involve lies made three years apart," said Judge Karas, also adding that Jones' actions were "not a one-off mistake... but a repetition in an attempt to break the law."